Happy New Year! While I usually don't do recap blog posts of each year because I can never seem to find the time to get that organized with a year's worth of images, I hope each and every person reading this knows how much I love photographing weddings. It's impossible for me to select a single photo from each wedding to share in a year-end recap, especially when I can create a blog post for each wedding. While it is the 1st of the year and it's currently mega cold across the majority of the United States, I thought the best thing to do would be to share a colorful, warm, loving elopement inside of one of my favorite venues in Seattle. Read on, warm up a bit, and have a perfect New Year! 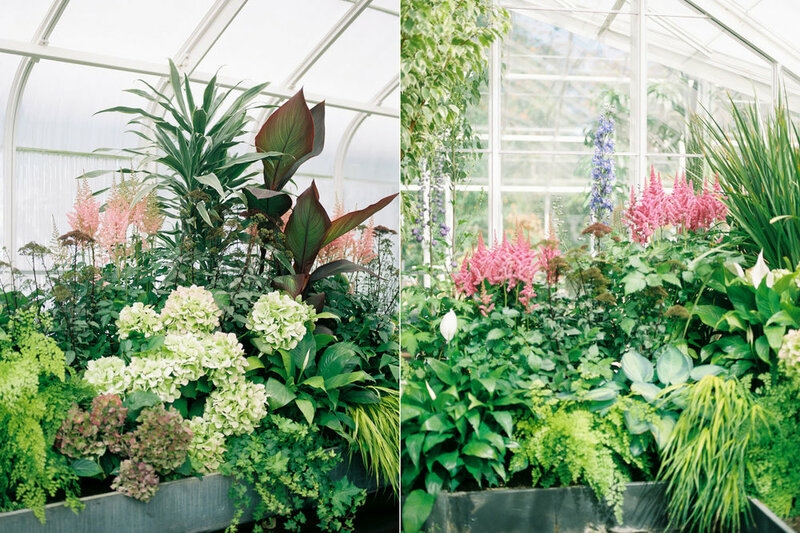 Seattle's Volunteer Park Conservatory is a one-of-a-kind wedding venue and it's most definitely one of my favorite places to celebrate a marriage. Nisreen & Scott gave me a wonderful opportunity to return to one of the prettiest venues in the city and I absolutely jumped at the chance to join them for their intimate wedding ceremony inside of the conservatory. I am still so in love with how all the plants really accented all of their personal details. Scott & Nisreen founded and own their own company, True Wild Botanics, which offers products products that are both environmentally and health concious. Because of their love of nature, preserving the important resources the Earth gives us, and their passion for growing their own garden that supports honey bee conservation, getting married at the Volunteer Park Conservatory was an absolutely perfect fit. I am so thankful to have worked with this couple at such a beautiful Seattle location and can't wait for the next time I get to return to this space to photograph more intimate elopements.